The digital thread is defined as a communication network that enables a connected flow of data as well as an integrated view of an asset's data across its lifetime through various isolated functional perspectives. This concept promotes transmission of the correct information, to the correct place, at the correct time. In a manufacturing process, huge amounts of data are produced and analyzed to obtain efficiencies and reduce defects. According to LNS Research, it's been confirmed that the digital thread increases the supply chain efficiency by 16 percent. Moreover, this new trend of manufacturing enables delivery of new products to the market 20% faster. A good number of manufacturers have yet to integrate the digital thread into their systems. According to the national institute of standards and technology of the United States commerce department, only 10 percent of small manufacturers employ this concept and all the rest use conventional 2D methods to model their products. Another substantial application of the digital thread is in corporate accountability. However, the depth to which government regulators can access pre-product data is still open for discussion. For instance, it is arguable that the Volkswagen emission menace could have been caught sooner had the government regulators accessed the digital thread. Besides, the development data of this automaker's digital thread could have shown information contrary to what was the reality on the roads. The digital thread is a simple concept – connecting digital information through product design, manufacturing, and inspection process of making a product. Manufacturing experts can easily view in real time how products pass through the manufacturing process, make the right decisions, operating effectively, as well as maintaining the right quality of products. The digital thread reflects the peculiar and dynamic nature of a physical part throughout the manufacturing process. A modern 3D model-based simulator is the heart of digital thread solutions. Increases the quality of products by minimizing defects and translates engineering specifications along the product value chain. Increases the rate of new product introduction and improves manufacturing engineering communication changes along the product value chain. Improves digital capturing efficiency as well as analysis of a product’s manufacturing data. Enables manufacturers to offer modern services to their clients as well as leverage the digital data attached to a product. The digital thread concept is borrowed heavily from the military aircraft industry majorly for its shared interest in enhancing the performance of future programs. The military aircraft industry uses digital technology to apply lessons learned for both current and future programs. Nevertheless, the digital thread is gaining interest beyond the military aircraft industry and is coinciding with digital manufacturing, cyber-physical system goals of industry 4.0, and smart factories. The main objective of smart manufacturing is to mastermind and optimize digital and physical processes throughout factories and the whole product value chain. 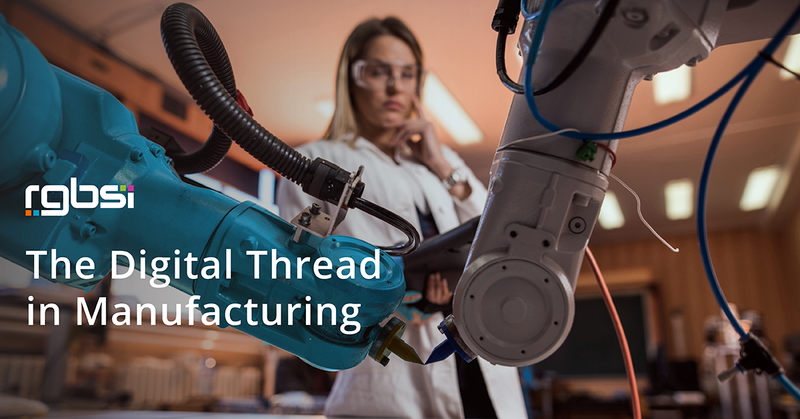 Surely, applying digital thread technology refers to turning away from traditional processes and moving towards an intra- and interfirm collaboration. It also means acquiring rich benefits across the design phase of a product. 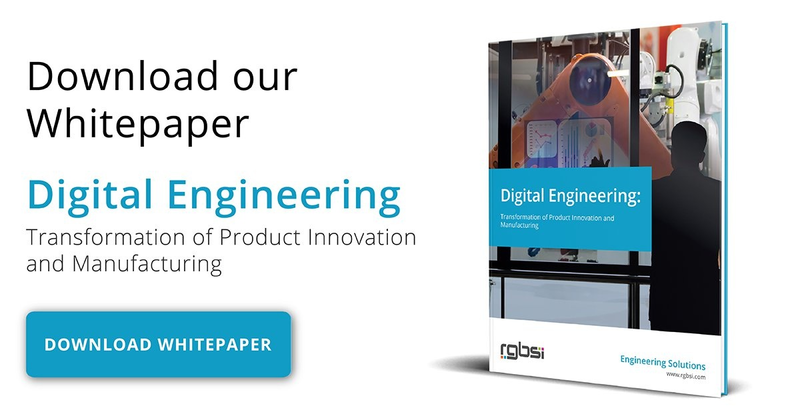 Manufacturers leverage this technology in design to realize tighter iteration loops, greater customization opportunities, and reduction of defect rates. The adage "time is money" applies perfectly in manufacturing. Reducing the time for production enables frequent iteration and creates more time for marketing. Manufacturers can use development data and field data to refine simple to sophisticated products. While the digital thread helps consumer goods companies to meet the market needs urgently, the actual beneficiaries are manufacturers. For instance, General Electric, one of the earliest adopter of this technology, recently used this concept to blast through 10 iterations of a 3D printed fuel nozzle in a matter of months. In relation to defect rates reduction, heavy duty equipment, especially in the automotive and aerospace industries, the digital thread has significantly sliced defects to result in enormous profits. A digital twin, facilitated by the digital thread, enables manufacturers to understand the workings of a production run on the shop floor before the actual startup. In this sense, the digital twin plays the role of a test dummy which enables engineers and designers to detect any defects and minimize expensive waste. For instance, Siemens technologies uses the digital thread and digital twin to reduce defects to only 11 per million, that is, to achieve a 99.9989% perfection rate. Over the past few decades, the state of manufacturing has greatly shifted and continues to transform. Application of the digital thread in manufacturing optimizes production while satisfying customers with end product delivery. The digital thread is unbelievably valuable for sophisticated manufacturers who face challenges of addressing complex supply chain systems. Throughout the globe, engineers and manufacturing experts are going digital. Manufacturers aim to reduce production expenses and minimize waste using the digital thread. In an industrial setup, from production through packaging to transport, these processes are constantly being combed to ensure maximum expenditure efficiency.